I had a facial recently at the Clarins beauty bar, and my facialist (doesn’t that sound so fancy) basically told me that I needed the Clarins lotus oil. She told me to use three drops every night for three weeks and so far my skin has been loving it. When I saw her I was in the midst of an abysmal hormonal breakout on my chin and since using just this every night my skin is looking a lot clearer. Touch wood. 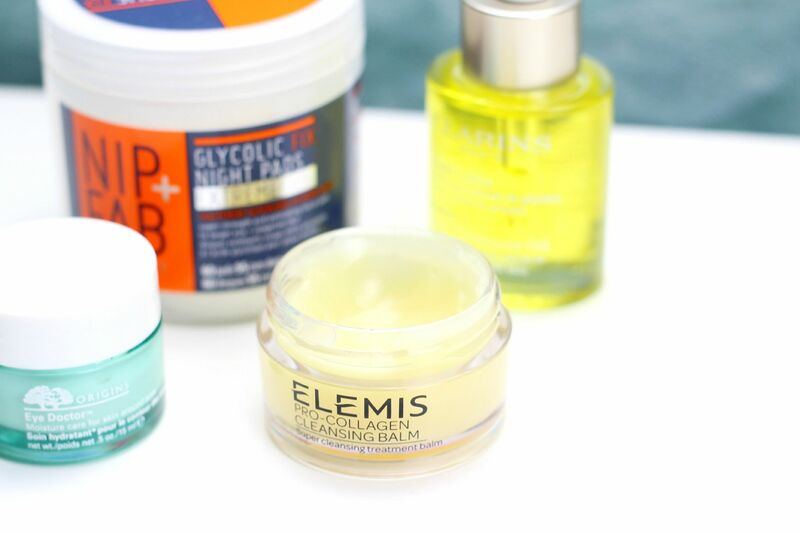 On the quest for the perfect eye cream, I have been trying the Origins Eye Doctor. It’s lovely and hydrating, but at the moment it just seems like an eye cream. I need to get into the habit of using an eye cream at night as well. I finally got round to trying out the much hyped Elemis pro-collagen cleansing balm, and it’s so so lovely. I’m alternating between this and the Sunday Riley Blue Moon balm (review here!) at the moment. I’ve been using the Elemis one when my skin is feeling a bit drier or in need of some more intense nourishment. Dreamy stuff, and leaves your skin feeling perfectly balanced and smooth. 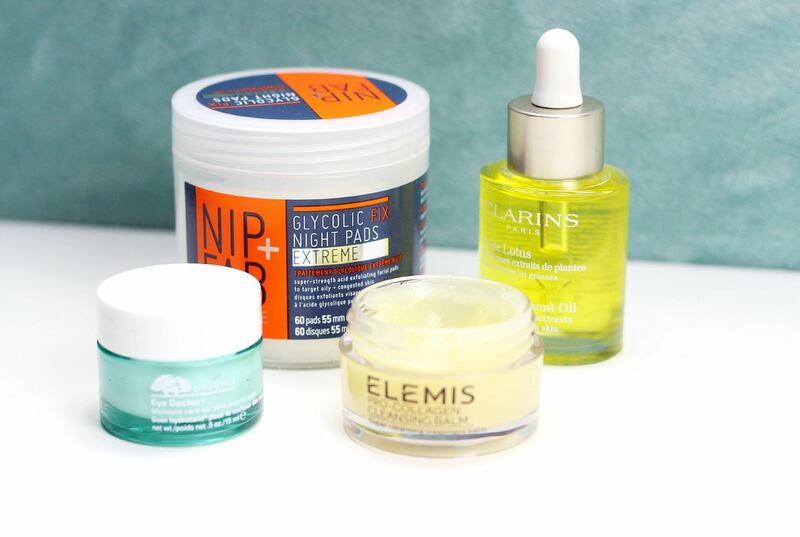 After cleansing at night, I’ve been using the Nip & Fab Glycolic night pads extreme – love the regular version, so I grabbed these when I saw them. They smell like grapefruit and make my face sting a bit so that means they’re working, right? I do like a good acid tone. What’s your skincare routine like at the moment?